I know I typically don’t post on Sundays, but this is a special occasion. I just finished my new ebook and it’s ready for picking! ‘Starting Your Own Veggie Garden‘ is a great guide to help you start your very own veggie garden. It’s filled with simple instruction and great tips, and is packed with lots of pictures. 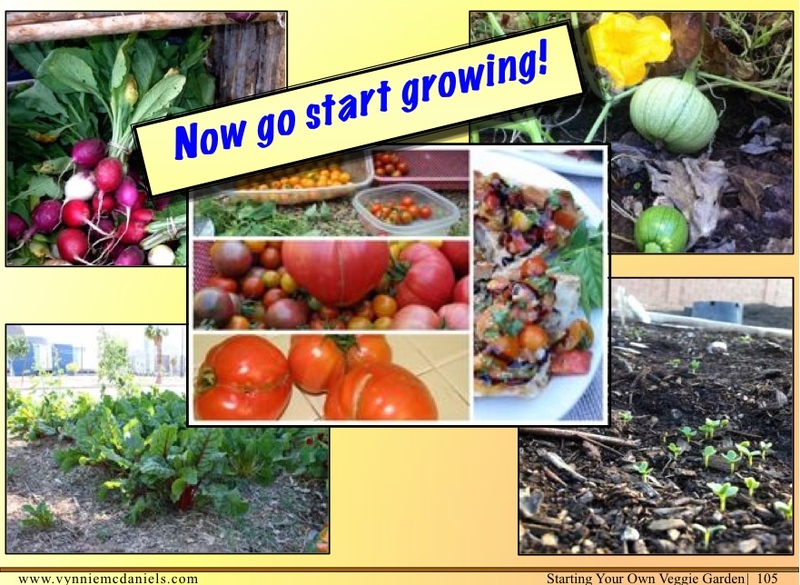 Whether you live in Washington, Florida, Ohio, or here in the Southwest, you can get your veggie garden started within a weekend following my 5 simple steps. Even if you’ve tried your hand at gardening before, you’re sure to learn a thing or two for success in gardens to come. This ebook downloads nicely to your smartphone or tablet device so you can read along right from the palm of your hand. Click here to check out a sample of the ebook. In my years of gardening, I’ve started a variety of new gardens in a variety of spaces, figuring out what makes things work, what’s good enough, and just downright fails. I’ve simplified the process into 5 steps, so there’s not a bunch of trial-and-error, or the need to dig through a bunch of different books. With spring on it’s way, now is the perfect time to start thinking and preparing for your gardening season, and this is the book to get you started. As an added bonus, I’m offering the ebook for only $14.99 if you purchase by the end of January. Click here to get your copy today. This entry was posted in Grow It, Live It and tagged organic gardening, Starting Your Own Veggie Garden, veggie gardening, Vynnie McDaniels. Bookmark the permalink.